I’m often asked what privacy and security applications, services etc. 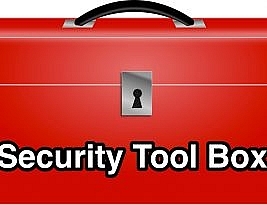 I use or would recommend soÂ I thought it would be helpful to create a great big personal security and privacy tool box resourceÂ page to compile some of my personal favourites and recommendations. Iâ€™ll add to the list as I find and try out new tools so please feel free to bookmark this page or check back regularly. If you would like to recommend a new tool or have feedback on any of the ones listed below, I would love to hear your thoughts so please send me a note via the site’s contact page. FYI: there are NO affiliate links on this page. Nor do I accept free products or services from any company or organization listed below. I would rather earn your trust than 8 cents commission. 1Password is a password manager and secure wallet for Mac, Windows, iOS, and Android. With it you only need to remember one strong password to unlock unique strong passwords for all of your websites, cloud services and apps, synced across all of your devices.Â It’s a paid service, but at $2.99 a month it’s well worth the $ and it’s the one I use and recommend. I decided on 1Password because it’s Canadian, the interface is simple and intuitive, it doesn’t store my passwords in the cloud which limits the chances of a third party hack exposing my password database, it works on all my devices and it’s integrated directly into many of the websites and apps I use already. LastPass is a Password Manager that works with all browsers & smartphones. It comes in free and premium versions andÂ is there when you need to login, generate a password for a new site, or complete an online order quickly, easily and securely. It’s a great choice and very easy to use for non-technical folks and has a very attractive and intuitive user interface. While LastPass does a great job making all of your passwords available on all of your devices with a little less initial setup effort than 1Password, the downside is that it stores and syncs your passwords via LastPass servers in the cloud sacrificing a degree of security for convenience. If you’re ok with the cloud thing, then LastPass is a great choice. KeePass is a free, open source password manager for Windows with many extensions and plugins. It’s not quite as user friendly as commercialÂ Password Manager products however it is free to use and highly configurable for those who want more customization options. Backup! Backup! Backup! Today 1TB external USB drives are going for less than $100 and decent cloud services now range from free to a few dollars per month. At these prices and levels of convenience you don’t have any excuse for not having a backup of your files (especially pictures of your kids) in case of a hardware failure, ransomeware or some other act of hacking nastiness happens to your stuff. Cloud backup services are also great for syncing files between your devices however you want to choose wisely and decide what information / data you put in the cloud and how exactly you plan do it to ensure your backup doesn’t become the target of hackers or becomes part of a larger breach. Also, keep in mind that these online backup services will eat up a lot of bandwidth so watch your limits to make sure you don’t get a huge bill from your Internet Service Provider at the end of the month. CrashPlan is extremely easy to use and provides unlimited online backup to the cloud for $5.99 a month or $12.50 a month for an entire family. It’s simple to setup and works without you even realizing it’s doing anything… that is until you need it. They also provide small business plans so there’s no reason anymore not to have a backup of all your stuff. If you’re not 100% comfortable backing up everything to the cloud, then at the very least it’s a great solution for protecting your family pictures. SpyderOak is my #1 choice for cloud file syncing / backup privacy and security. With SpiderOak you can easily protect your data in the cloud and it works with Linux, Mac & Windows. “Zero Knowledge” means they know nothing about the encrypted data you store on our computer. Nothing leaves your computer until after it is encrypted and your files are never decrypted until they are unlocked with your password on your computer. SpiderOakÂ works a lot like Dropbox (it’s just not as pretty) however the key difference is encryption. With Dropbox your files are encrypted by Dropbox once they reach the Dropbox servers. This means that you don’t control the encryption of your own files unless you use a third-party solution such as Boxcryptor. Boxcryptor protects your files in the cloud with Zero Knowledge encryption no matter if you useÂ Dropbox,Â Google Drive,Â Microsoft OneDrive,Â SugarSync, Box, iCloud or any other major cloud storage provider.Â Boxcryptor is available for Windows, Mac OS X, iOS, Android, Windows Phone, Windows RT, Blackberry 10, and Google Chrome. SurfEasy is a personal VPN application that encrypts all Internet traffic on your smartphone,Â tablet and computer to protect you when connecting to WiFi in coffee shops, hotels or even from home. It’s easy to use and a very affordable solution for the level of protection it provides. It’s my VPN of choice for both performance and ease of use. Even your Mom can use SurfEasy. Mine does. One thing to keep an eye on though is that while SurfEasy is a Toronto based company (which is awesome), it was acquired by Oslo basedÂ OperaÂ in 2015. Tunnel Bear provides really simple and intuitive computer and mobile apps for private browsing and to experience the Internet as if you are in another country. It’s simple to install and easy to use with the added benefit of being a Toronto based company. The interface is very minimalistic and a bit campy by design. While the wood finishes are not to everyone’s taste, I kind of like the playful culture of the company and it’s products and I would have no problem recommending Tunnel Bear as a top pick for your personal VPN. Private Internet AccessÂ VPN Service is HQ’d in Los Angeles and encrypts your connection and provides you with an anonymous IP to protect your privacy. And you can pay anonymously with many major brand gift cards Starbucks, Target, Walmart and over 100 more accepted. NordVPN is based in Panama and uses Double VPN technology encrypts data not once, but twice. It has a strict no log policy so they never keep logs of where you go on the Internet. It also includes a unique kill switch feature that instantly shuts down any site or software you specify in advance. I have not used this service, but it gets great reviews. ExpressVPN is HQ’d in the British Virgin Islands and makes VPN apps for Windows, Mac, iOS, Android & Linux. Because everyone should be able to go online with privacy, security, and freedom. They also make a VPN home router to protect even devices that can run VPN software which is cool. I’ve never used this service as well, however they get great reviews. SaferVPN is a New York based premium VPN service for cybersecurity, privacy and unblocking sites that aren’t available in your country! They also make a home VPN router as well as a Chrome VPN extension that allows you to manage the service directly within your browser. I’ve included this one because of it’s unique features but have not tested it myself. Ads on websites are not just annoying they are also tracking your Internet usage. Â Some are enabling malware to be installed on your computer even from normal everyday sites you visit. If you use Crome, Safari or Opera you can block ads, usage tracking and malware with this free browser extension. This is a must have browser add-on created by the Electronic Frontier Foundation, the leading nonprofit organization defending civil liberties in the digital world.Â HTTPS Everywhere is a Firefox, Chrome, and Opera extension that encrypts your communications with many major websites, making your browsing more secure. It’s easy to install and once it is, you never have to worry about whether or not the site you’re browsing has set up HTTPS to protect your privacy. Privacy Badger (also created by the Electronic Frontier Foundation) is another must have browser add-on that stops advertisers and other third-party trackers from secretly tracking where you go and what pages you look at on the web.Â If an advertiser seems to be tracking you across multiple websites Privacy Badger can automatically block that advertiser from loading any more content in your browser. Once you install it, you’ll be absolutely stunned at how many sites are tracking you and in how many different ways they are attempting to do it. Just a quick caution, while Privacy Badger does protect you it may interfere with the functionality on some websites. It can however, be turned off manually for individual sites and the little extra time and effort it takes to manage it is completely worthwhile when balanced against the protection and visibility it provides. Ghostery is a browser add-on that identifies data-trackers on any site and enables users to block any tracker, enhancing load speeds and privacy. Ghostery is available for every browser and every device including Firefox, Safari, Chrome, Internet Explorer, Opera, iOS, and Android. If you must use a USB key or portable backup drive… first only connect it to computers that you own or you can absolutely expect to be infected with something nasty, second use one that has built-in security features and third and most importantly don’t lose it! IronKey not only sounds cool, but the make secure portable data storage solutions, including hardware-encrypted USB flash drives and external hard drives, for your mission-critical mobile workforce and the invaluable data they carry. Now more than ever WordPress sites are under constant attack. If you don’t have a WordPress firewall already installed on your WordPress site, you’ve likely already been hacked. You may be distributing malware and blacklisted by Google and other search engines and not even know it. Install one of these and run a scan and see how you can better protect your personal blog or business website. Wordfence is a simple and easy to use WordPress plugin that is also super powerful at protecting your site. It comes in a free version that includes scanning and full firewall protection as well as a paid version with advanced features such as country blocking. Securi is for those who want serious security for WordPress sites. It’s a little more expensive than other security plugins but in this case you absolutely get what you pay for and then some. Sucuri provides both a firewall and antivius product and they have a great securityÂ blog. If you use any sort of device running Windows, you’re going to want to check out the Microsoft security and safety center. You’ll find tools to protect your Windows systems, recover a hacked Microsoft online account and download Microsoft Safety ScannerÂ to scan for and remove malware. If you use your notebook on an airplane, in a coffee shop or other public places you are likely letting the person sitting next to you see everything you are doing on your computer. With a privacy filter you’ll see the information on your display while people on either side only see a darkened screen.